What is Play Together on Pedals? Play Together on Pedals is a preschool and family cycling project, encouraging families to get active through enjoying the fun and freedom of cycling together. How did Play Together on Pedals develop? Play Together on Pedals began in early 2014 as Play on Pedals, a project which aimed to give every preschool child in Glasgow the opportunity to learn to ride a bike before starting school. The project was supported by players of People’s Postcode Lottery and awarded £231,000 by the People’s Postcode Dream Trust Fund, the largest single award given by the fund at that time. The original funded project ran from April 2014 until December 2016 and was the first of its kind in the UK, offering city-wide provision to preschool children and their families. What is currently happening with Play Together on Pedals? From 2017 the project has evolved in exciting ways. It remains a partnership between Cycling UK, Cycling Scotland and Play Scotland and is now delivered across much of Scotland, including in Edinburgh and Glasgow, reaching a diverse range of young people, families and communities. Play Together on Pedals has received funding from Glasgow City Council, since early 2017, through the Paths for All ‘Smarter Choices, Smarter Places’ funding stream, to work alongside Bike for Good, South West Community Cycles, Free Wheel North and Dumbarton Road Corridor Environment Trust as the Glasgow Community Cycling Network. Together, the Glasgow Community Cycling Network offers free drop-in sessions and attends community cycling events across the city. 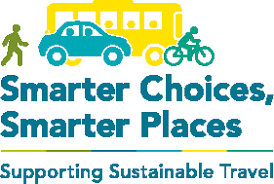 In June 2018 the Play Together on Pedals partnership launched a new project in Edinburgh, with funding from Transport Scotland. Building on the successes of the Glasgow project, Play Together on Pedals in Edinburgh not only offers opportunities for preschool children to learn to cycle, but also recognises the importance of encouraging parents and families to give cycling a go through family-friendly try out sessions and drop in activities. The Edinburgh based project offers small grants to community organisations and training opportunities for local cycling groups. It also uses the expertise and experience of families already pedalling with little ones to support families new to cycling. Cycling Scotland continues to roll out the training programme funded by Transport Scotland, to local authorities across Scotland, working with 26 different authorities to deliver training in early years settings. Why was Play Together on Pedals created? Play Together on Pedals was designed as a sustainable project to break down the barriers young people face to participating in physical activity and to support children and families to enjoy and gain confidence through cycling. The original Glasgow-based project was committed to addressing the recognised barriers to physical activity which are related to health inequalities and the impacts of multiple deprivation experienced across a wide section of the city. This focus on breaking barriers to physical activity remains as Play Together on Pedals grows. Play Together on Pedals partners recognise how cycling can provide a means of independence, an opportunity to develop new skills and low cost way to maintain a healthy lifestyle. It has both physical and mental health benefits, is sustainable, inclusive and fun; by engaging children and young families in cycling, Play Together on Pedals aims to have a transformational effect on future generations across Scotland. Working with local organisations and early years establishments, Play Together on Pedals provides free training for new instructors and instructor trainers who play a vital role in the everyday implementation of the project. Small grants are given to enable participating groups to purchase equipment including balance and pedal bikes, tools and helmets and also to deliver small community events. Regular community drop-in events are held working alongside a variety of different local organisations to provide free and fun activities and space for learning to cycle. Family-focused events in Edinburgh also provide an information exchange and opportunities to try out different equipment such as cargo bikes and child-seats for families interested in cycling together. Activities and events are evaluated and monitored to support continued development and improvement of the project. More than 8,000 preschool children in cycling training events and sessions. Over 300 community events and drop-ins have been delivered across the city. 440 adults have been trained including 370 Play on Pedals instructors in early years centres and community organisations. You can read the report from the original Glasgow project funded by the People’s Postcode Lottery Dream Fund here.